This a-maize-ing pen shows off your company’s logo along with your concern for the environment! 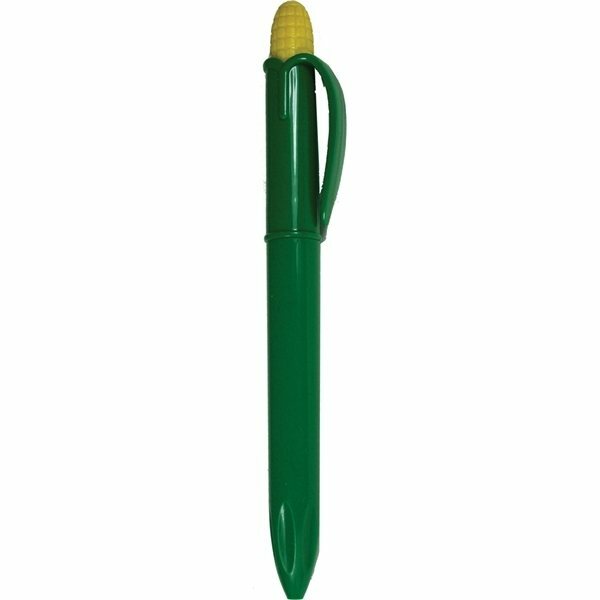 Biodegradable corn shaped ballpoint pen is a great promotional handout for an Earth day event or any event for that matter! Made from corn, this pen will show your clients that you not only care about them but out environment as well. The corn pen was very nice. The font was very easy to read and the color contrast really stood out. I would recommend. It's cheap but you get what you pay for. Break really easily. At least the company is good to work with. Met my expectations. Perfectly done. Alicia is a pleasure to work with since she goes out of her way to get the job done very well and on time.